I am sitting in my living-space, playing this record on a warm Tube Amp and new Moving Coil Stereo Cartridge. AMAZING! 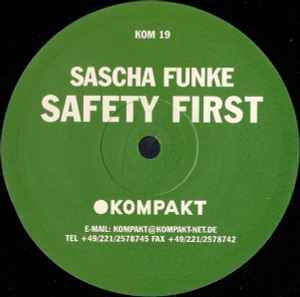 Sascha rocks it with this epic release. Tight... Precise... Minimal... Psychedelic... Groovy... Fun and Well Produced. Each track is perfect for the home listening or on a Funktion One in club. A good album to mix with this is KOM #02 "Dettinger-Blond". Another early Kompakt classiC. Must have material... get some.